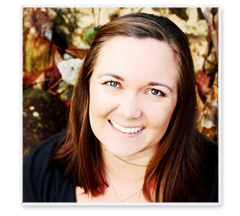 Did you know I am a multi-tasker at heart? I've always got at least 12 things going on in my life at the same time. School, design, blogging, RSO (Ross Spouses Organization - I'm president this semester), and the list goes on. 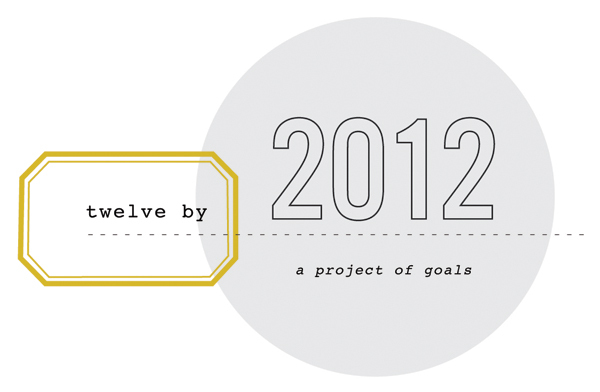 I found this Twelve by 2012: a project of goals challenge via Kate of The Small Things Blog and was immediately drawn to it. Even though I'm good at doing a ton of things at once, what I'm not so good at is making goals relating to the projects I start. The Twelve by 2012 challenge is perfect for me because the calendar of my life is governed mostly by my husband's med-school semesters. We are almost half-way through this semester already and there are definitely things I'd like to finish up before the end of the semester and the end of the year. It was quite easy to find 12 things I'd like to wrap up by year's end. Thanks Ladies. I'll have to do an update post soon! The goal that bothers me the most is finding the time to read 5 more books by 2012!